As one of the largest dance festivals in the world, the Global Gathering, in its 12th year, brought some of the world’s most renowned DJs and live acts to numerous stages during one weekend of non-stop dance and electronic music in Stratford-upon-Avon, UK. 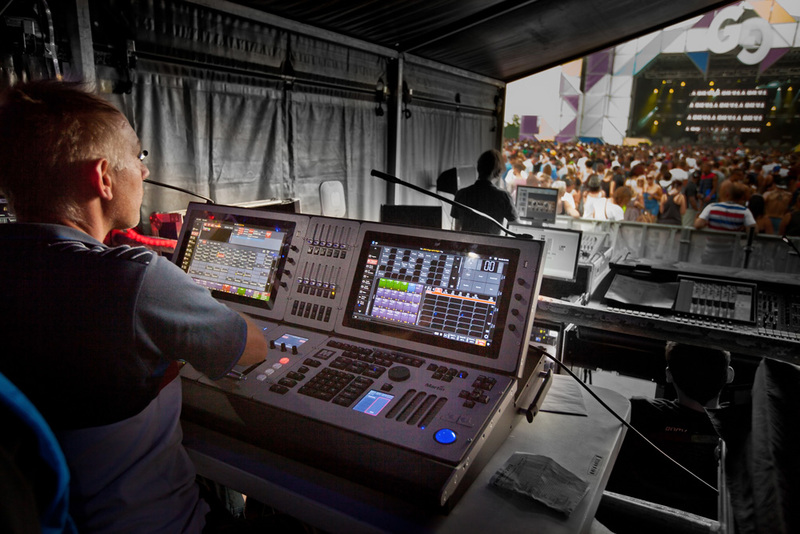 Electric Fly Productions was contracted to design and supply the lighting for all seven arenas involved in the 2013 festival and deployed a Martin M6 lighting console on the main stage for full control of the intense lighting, in addition to deploying a vast amount of Martin lighting fixtures. Martin EC-20 video screens were used to backlight the stages throughout the Gathering, controlled by P3 system controllers and a Maxedia Pro interface. Numerous Atomic strobes were strategically placed to light up all of the stages. The M6 is a state-of-the-art lighting console that functions as an advanced ‘visual control’ surface, and is designed from the ground up to control anything from conventional and moving lights, digital fixtures, LED pixels and a full range of media servers.